Michael R. Gotzler | Littler Mendelson P.C. Michael R. Gotzler represents employers in all aspects of labor and employment matters, including labor management relations. 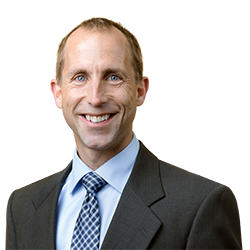 Mike has particular skill in responding to claims and issues surrounding joint and coemployment, the use of third party workers, independent contractors, and outsourced HR services. He has presented at national conferences, represented businesses at White House briefings, participated on expert panels and has been regularly interviewed and quoted as a result. Mike has also represented the staffing industry on a wide range of legal issues and legislative and regulatory matters. He played a key role in passage of the Wisconsin laws that regulate PEOs (professional employer organizations) and was recognized by the industry for his efforts. To help his clients minimize claims, Mike has designed and delivered a wide range of preventive HR training courses, including anti-harassment courses designed with EEOC involvement and approval. Mike was one of the first individuals selected to deliver sexual harassment training as part of a 1999 conciliation agreement, under which the employer was required to provide EEOC-approved anti-harassment training to more than 100,000 employees. Mike was Littler’s first attorney in the Madison, Wisconsin office. Prior to joining Littler, Mike was general counsel of an organization that provided temporary staffing, executive recruiting, HR consulting and integrated HR services throughout the U.S. He was also shareholder at another firm that focused exclusively on labor and employment matters on behalf of employers. Persuader Reporting – Worse Than ACA Reporting? National Association of Professional Employer Organizations (NAPEO) Annual Legal Conference, Washington, D.C.